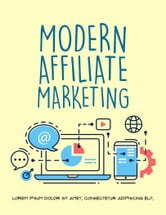 Learn the top modern affiliate marketing techniques. The key to affiliate marketing success is to focus on what works. The mechanics of affiliate marketing have not changed. What has changed, however, are the strategies that enable you to become a successful affiliate marketer. Picking Your Niches Based on ROI and Other Crucial Factors. Picking the Right Affiliate Program to Maximize Conversions. How to Create Niche-Focused Conversion Systems. The Key to Affiliate Marketing Success in 2018 and Beyond. 21st. Century Millionaires - Discover How Modern Millionaires Think, Act And Create Their Wealth!